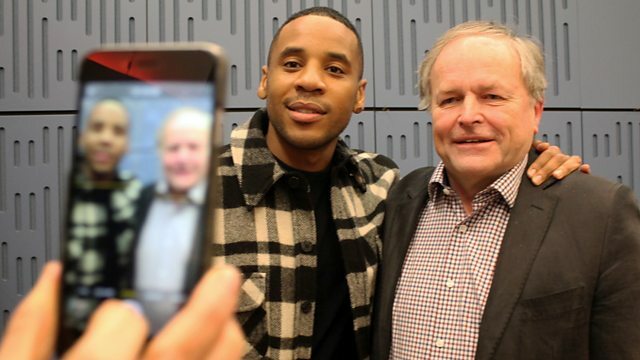 Clive Anderson and Emma Freud are joined by Lucy Worsley, Reggie Yates, Tayo Aluko and Bruce Guthrie for an eclectic mix of conversation, music and comedy. With music from Fairport Convention and Reuben Hollebon. ‘British History’s Biggest Fibs with Lucy Worsley’ is on Thursday 26th January at 21.00 on BBC Four. ‘Reggie Yates: Hidden Australia’ is on Monday 23rd January on BBC Three. ‘Just An Ordinary Lawyer’ is at London’s Teatro Technis until Saturday 28th January. ‘Rent’ is at St. James Theatre, London until Saturday 28th January and then touring until Saturday 27th May. ‘Terminal Nostalgia’ is available now on Bright Antenna. 'Myths and Heroes' is available now on Matty Grooves. Listen to Loose Ends anytime, anywhere. Sign up to the Loose Ends podcast for weekly updates or browse past episodes to download.